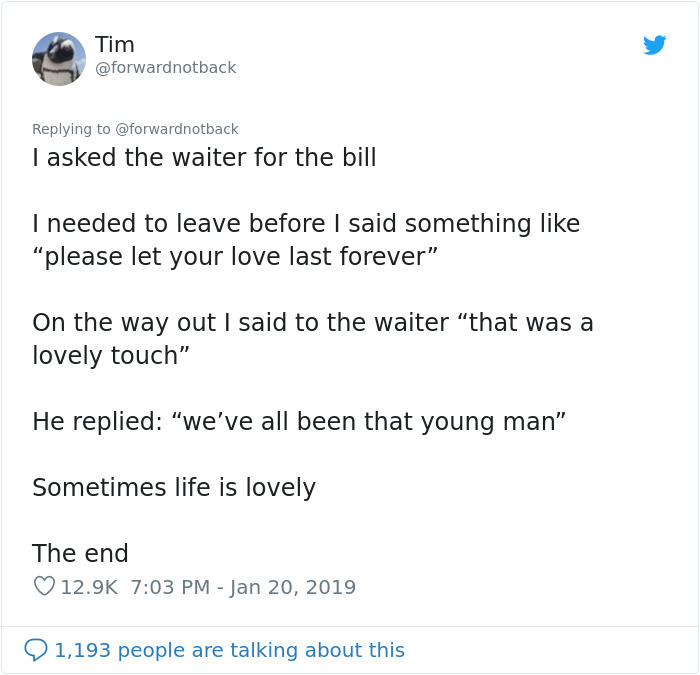 The Waiter to the rescue! First dates are one of the most essential parts of a healthy relationship, though getting them “just right” is not really that easy. People always want the first date with their significant other to be absolutely perfect. I’m sure you have too, after all, it’s the start to a beautiful journey of endless love. 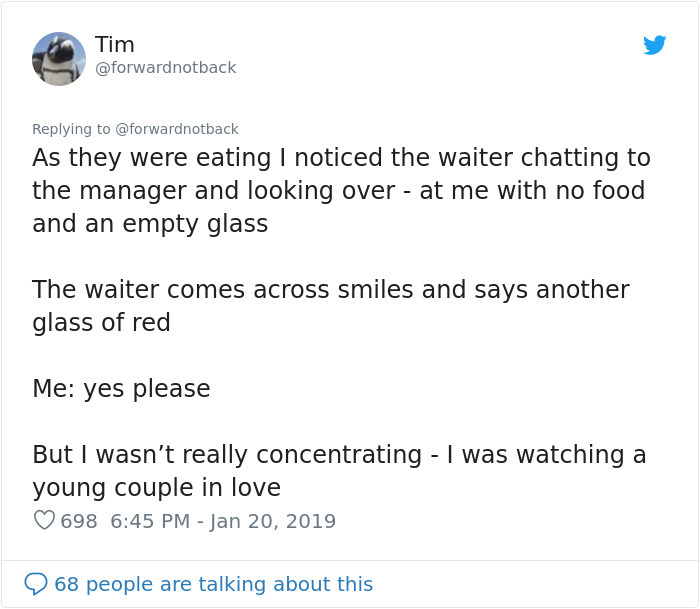 Scroll down and see for yourself how a waiter’s million dollar gesture gave a young couple their perfect evening. Trust me; a first date can’t really get better than this. 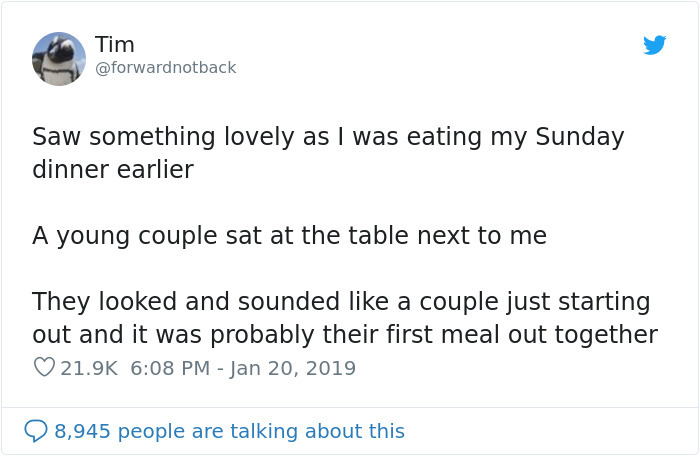 So a couple had their first date together. However, the menu made them realise that the restaurant might be a little too expensive. 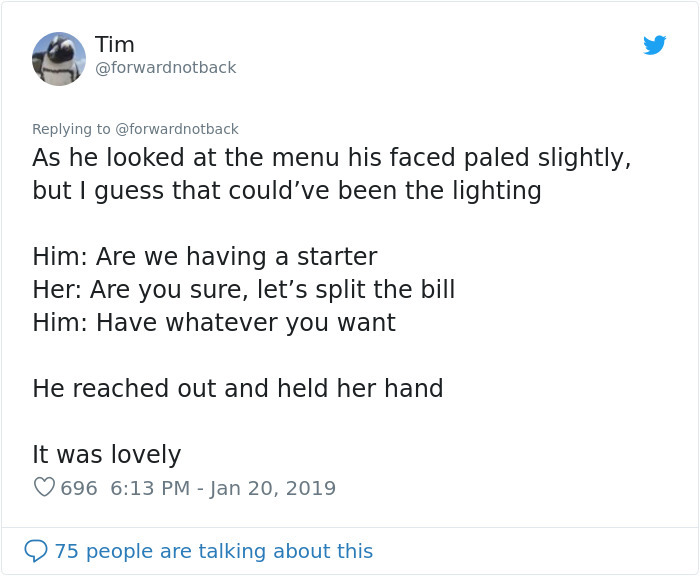 The girl offered to split the bill, but the boy refused. 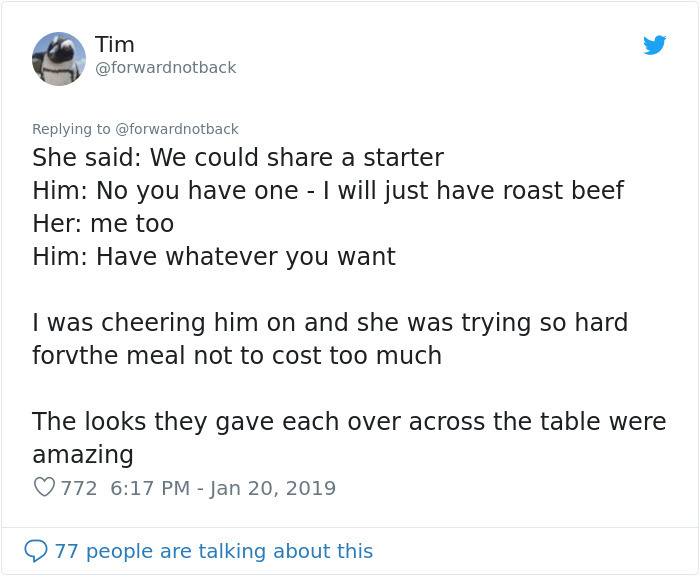 They tried their best to order the least expensive meal. 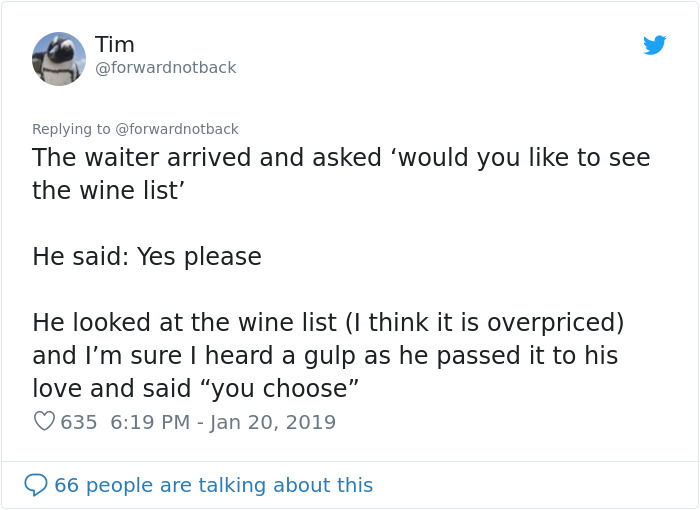 And then came the overpriced wine list. 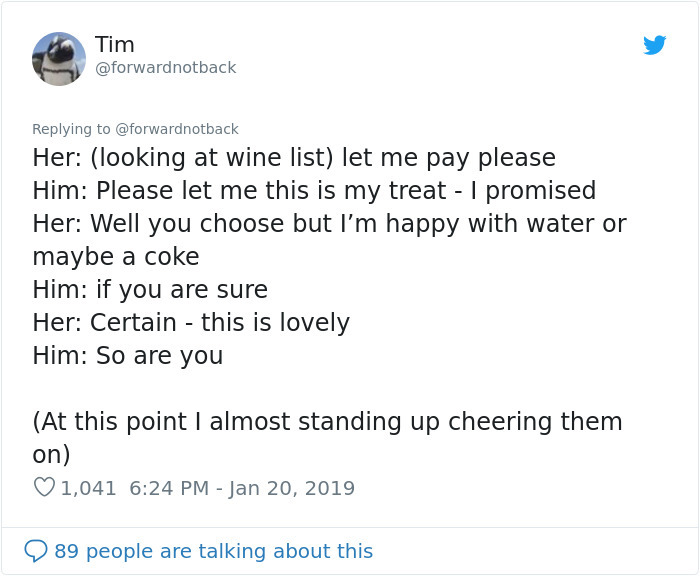 The girl was humble and decided not to get wine. 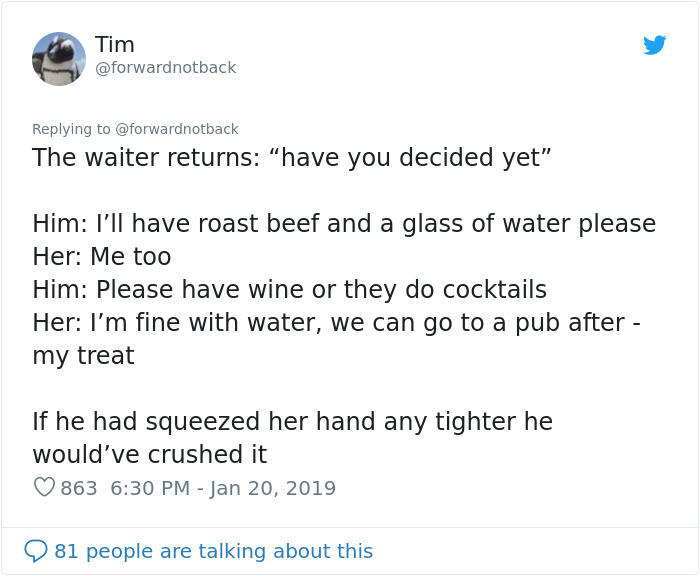 So they finally decided to have roast beef with water. 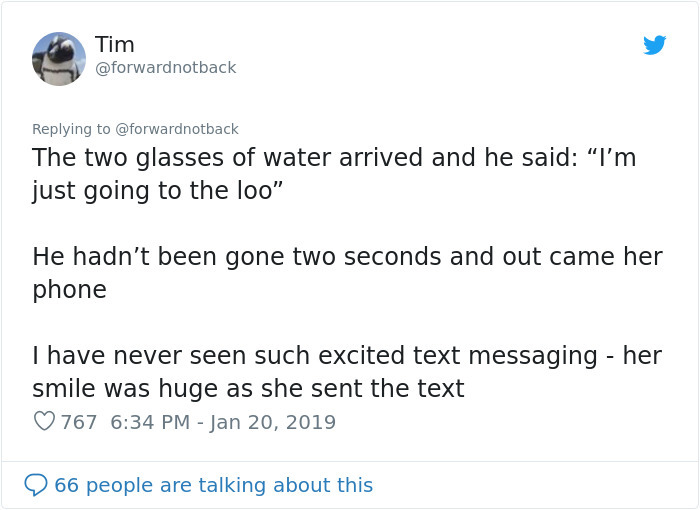 The girl was obviously excited. They continued to have fun. 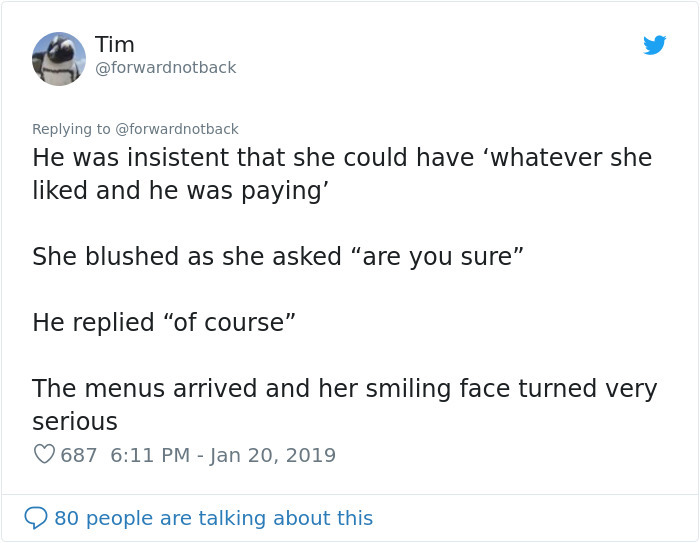 It’s totally not weird to monitor a date like that. 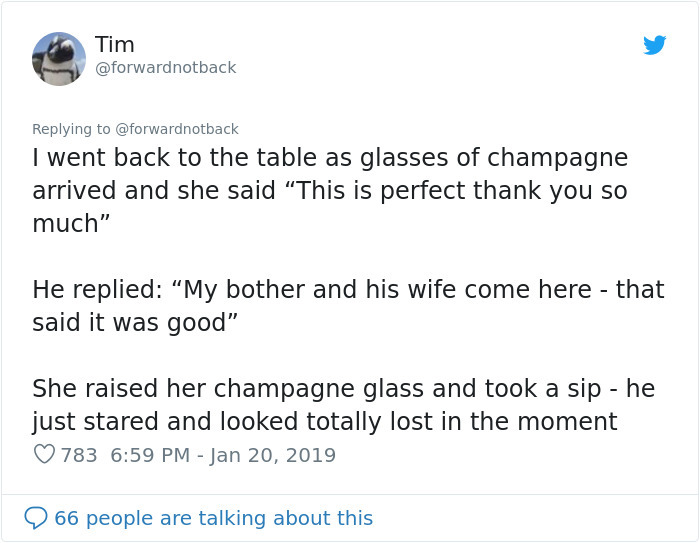 And then the waiter does his trick – complimentary champagne! It definitely took the boy’s anxiety away! It made Tim tear up too. Thus resulting in the perfect date! 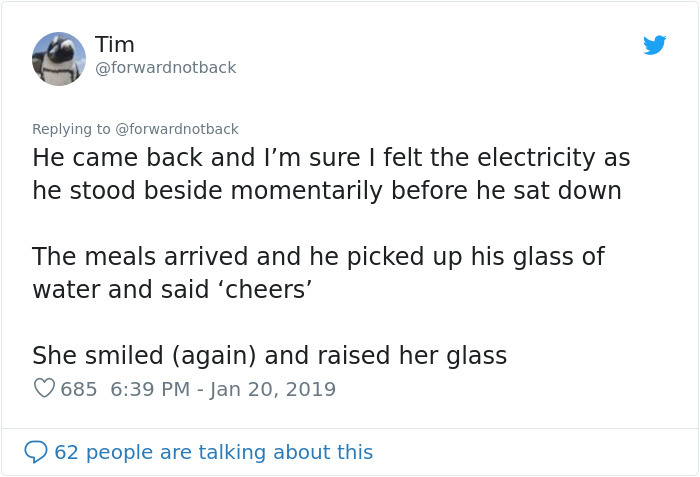 People were touched by this wholesome story. 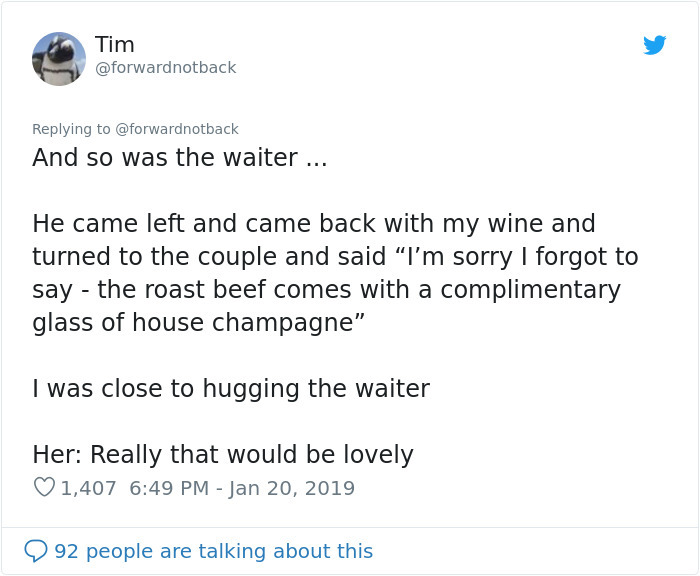 Have you ever witnessed something this wholesome? Let us know in the comments below!